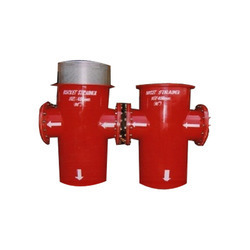 Manufacturer of a wide range of products which include t type basket strainer and y strainers. We have made available for our esteemed customers a wide range of T Type Basket Strainer. Our offered spectrum is used to filter sand particles, chemicals and other impurities from the water. The professionals working with us manufacture these strainers using high quality material that is sourced from reliable vendors of the market.